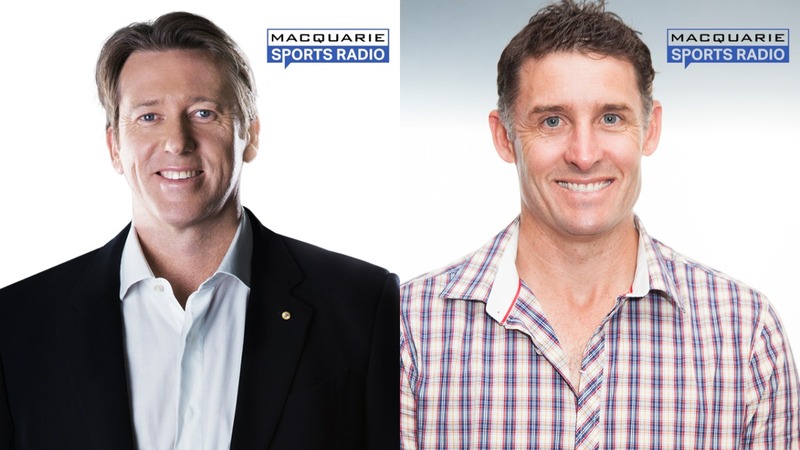 Macquarie Radio’s Summer of Cricket has been bolstered by the addition of two Australian legends; Glenn McGrath and Mike Hussey. The two have signed on for calling duties on Macquarie Sports Radio as part of Macquarie’s new six-year deal with Cricket Australia. Glenn McGrath sits fifth on the all-time list of test wicket takers with 563 while Hussey represented Australia in 79 tests with a batting average of 51.52. “It’s going to be another huge summer of cricket and I am very excited to be part of Macquarie Radio’s Summer of Cricket,” said Hussey. “I’ve loved being part of Macquarie Radio’s Summer of Cricket broadcast in recent years and can’t wait to be back in the thick of it again for another summer,” said Glenn McGrath. Macquarie Media will feature coverage of every ball bowled of all the Domain Test Series, Gillette One Day and T20 Internationals, the KFC Big Bash League and the Commonwealth Bank Women’s International Series on Macquarie Sports Radio. “The achievements of Glenn McGrath and Mike Hussey in the game of cricket really do speak for themselves,” added Macquarie Media CEO Adam Lang. “They are both highly respected throughout the world of cricket internationally and terrific on air. To have them as part of the Macquarie Sports Radio Summer of Cricket broadcast is very exciting for the audience, clients and ourselves.” Mr Lang said.